The word knot is generally accepted as a generic term that refers to the interlacing of a single piece of rope or joining two or more pieces of rope together. Knots are, however, categorized by type and function. Each knot has special characteristics that make it the right knot for the selected purpose. The ancient adage, ” if you can’t tie a proper knot, tie a lot of them” is unacceptable. 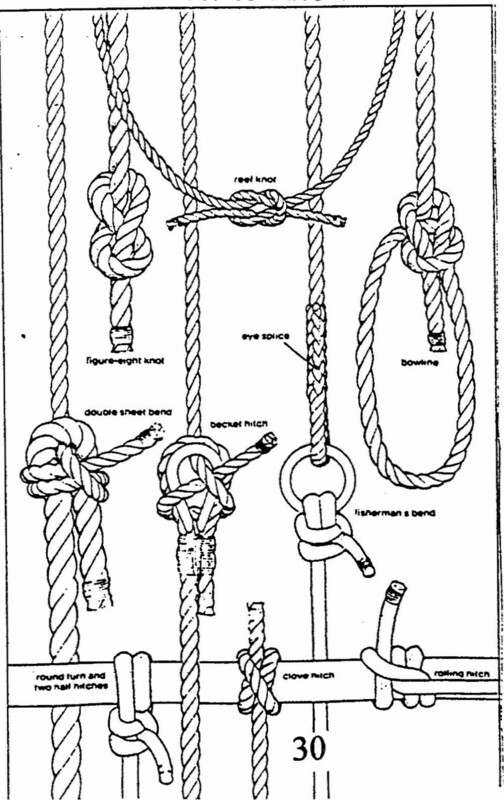 Knots used by sailors are easily tied and perhaps more importantly easily untied. A knot is when a line is turned back and tied to itself. A bend is when two lines are fastened together to extend their length. When a rope is tied around something, including another rope, it is a hitch. Interweaving one set of rope strands into another’s is called a splice.